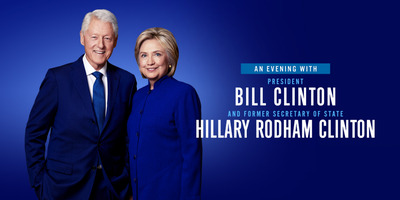 Live NationHillary and Bill Clinton on the cover of their 2018 tour poster organised by Live Nation. Hillary and Bill Clinton are planning to discuss the 2016 election in a series of tour dates starting in November. 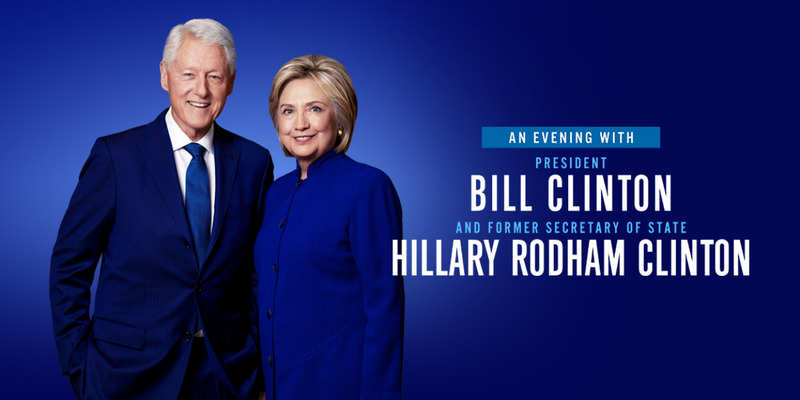 The “Evening with the Clintons” tour is scheduled to visit 13 US and Canadian cities. Tickets were listed as costing $US59.50 to $US745.50 on Ticketmaster on Tuesday. Two years after Hillary Clinton lost the US presidential election, she and Bill Clinton are embarking on a tour of 13 North American cities to talk about that loss and other issues. Tickets to see the former president and the former secretary of state are listed as costing $US59.50 to $US745.50 on Ticketmaster’s website. The tour is scheduled to start November 18 at the 5,200-seat Park Theatre at the new Park MGM resort in Las Vegas before making its way to other cities in the US and Canada. Clinton won Nevada in 2016 with 47.92% of the popular vote. The tour is scheduled to make stops across the US, from New York to Washington state, and in Vancouver, Montreal, and Vancouver in Canada. Tickets are scheduled to go on sale to the general public starting Friday at 10 a.m. ET.